Do you already have plans for Valentine's Day? Most people will go on a romantic date with their special someone. Why don't you try the other way around? Some studies say that there are people who prefer to be with someone who has a sense of humor. Yes, because in life and love humor plays an important role. Relationship doesn't have to be always serious and romantic all the time. Well, admit it. Who would want a boring relationship? Healthy couple should make room for, you know, lightheartedness. The two of you being able to laugh at things instead of arguing about little stuff. It doesn't necessarily means laughing at the same thing together. It is about the humor you create together like you go goofy about a movie you recently watched or remembering funny things you had in childhood. It gives positivity and balance to both of you. 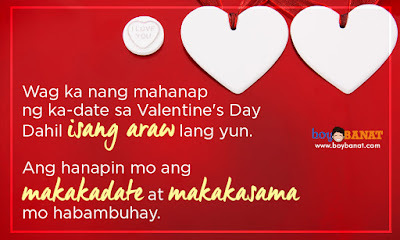 So if you're still undecided of what to do on this special day, we have collected some Funny Tagalog Love Quotes for Valentine's Day that you can share to make him/her smile today. Kasi Single ako at sino naman maka-date ko? Happy Valentine's sa Single na tulad ko"
Dahil isang raw lang yun. Love You and Happy Valentines Day!" yun pala miss mo lang siya." hindi ako mawawalan ng ganang mahalin ka." 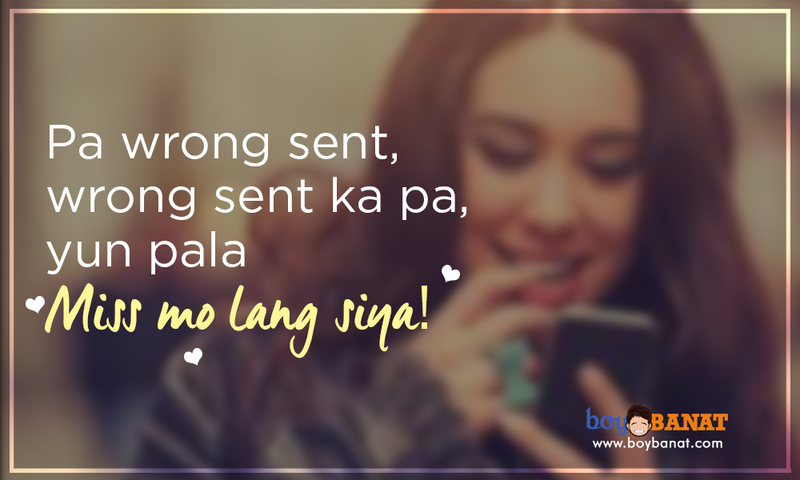 pero pag ang lalaki naka smile habang nagtetext may niloloko yan." ano ang KUNG FU ." 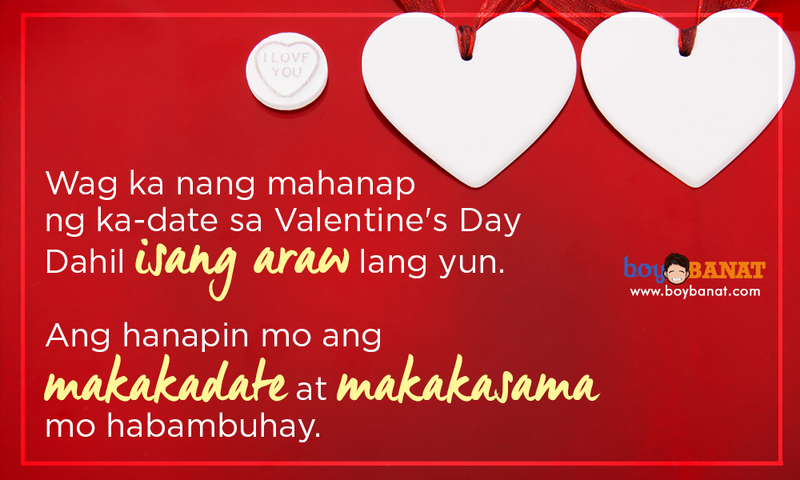 Yan kasi ang ka-Valentine ko!" Painumin mo ng Lactum, Para 100% panatag ka!" 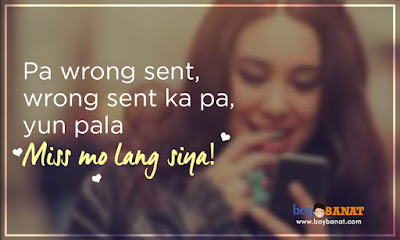 If you have you own Funny Tagalog Love Quotes for Valentine's Day, feel free to share it with us and we will be very glad to have it posted here. 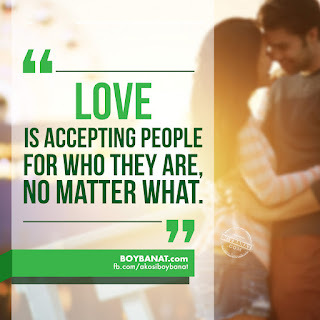 For latest quotes, jokes and banat lines, just visit us again at www.boybanat.com or at our Boy Banat Official Facebook (www.fb.com/akosiboybanat).